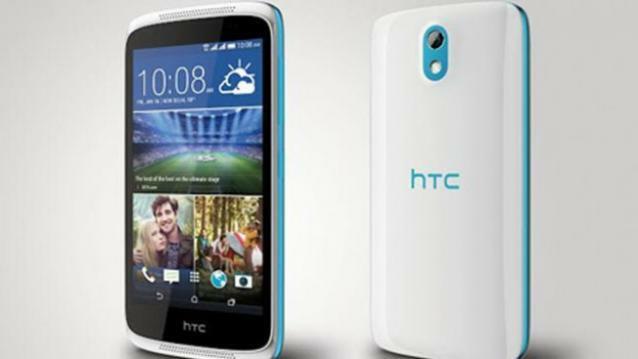 HTC launches its latest Android smartphone in India, the HTC Desire 526+ Dual SIM. The budget phone starts at a low price of Rs. 10,400. 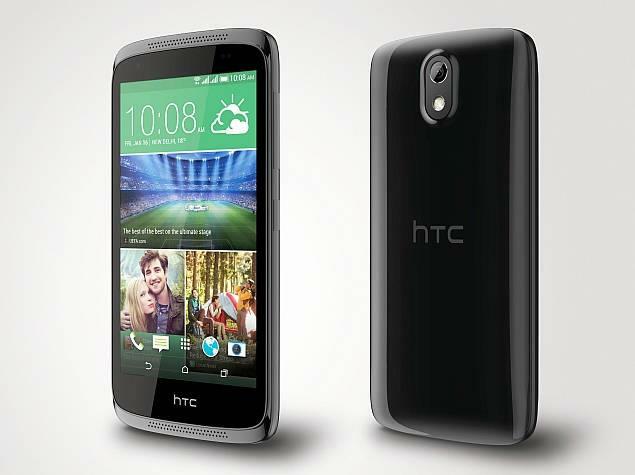 So, what is new with the all-new HTC Desire read on for information. The all new Desire 526G+ Dual SIM has been launched by HTC, in India. This is the third smartphone in the Desire series to be launched this month. The Desire 526G+ Dual SIM smartphone comes in two variants. An 8GB storage variant priced at Rs. 10,400 and a 16GB storage variant at a competitive Rs.11,400. While the 8GB version will be sold solely on the ecommerce retail store Snapdeal, the 16GB Desire 526G+ will be available in all stores, across the country. The Desire 526G+ Dual SIM smartphone weighs 154g and measures 139.8 x 69.65 x 9.8mm. It has a 4.7 inch qHD screen that offers 960x540 pixel resolutions and around 234 PPI pixels display. This device uses accelerometer sensor, proximity sensor and compass sensor for an exquisite user experience. It also has dual (micro) SIM with dual standby functionality. Customers have two colour options to choose from – Lacquer Black and Glacier Blue. The HTC Desire 526G+ Dual SIM is powered by a 1.7 GHz Octa-Core processor and runs the Android 4.4 KitKat, and the intuitive HTC Sense UI. Both variants have 1GB of RAM and offer 8GB and 16GB of internal memory, which is expandable up to 32GB with microSD slot. These are decent enough specifications enabling satisfactory multi-tasking capacity and a sizeable processing power, making it good value for money. The 526G+ comes with an 8MP primary camera with LED flash and 1080p video recording, and a 2MP front camera with 720p video recording. The connectivity options include standard 3G, Wi-Fi 802.11 b/g/n (2.4GHz), GPS/A-GPS, Micro-USB, Bluetooth 4.0, FM radio and 3.5mm stereo audio jack. The HTC smartphone is scheduled to go on sale by end of January. The device has the HTC Blinkfeed home screen, which will enable users to customize their streams so that important updates (news/social media) are available directly on the home screens. The Offline Reading mode is also available on this budget phone. This feature will allow users to view approximately 20,000 articles every day, published by top media companies across the globe. To access the offline reading mode users will need to connect to their Wi-Fi network and add a maximum of 120 articles to their reading list. They can access these articles at a later time and read them on the go, without internet connection. In addition to these, users will also have access to Video Highlights. HTC, the Taiwanese manufacturer is all set to captivate the Indian market once again with the HTC Desire 526G+ Dual SIM smartphone. The device is being touted as an excellent buy for anyone looking for an affordable smartphone that packs in the latest technology. The Indian market will benefit from this feature rich device that is easy on the pocket, feature rich and promises to be the best smartphone in its segment. And with a name as big as HTC backing it, the Desire 526G+ Dual SIM phone is definitely a contender for the top spot in the budget phone category. The new phones being launched by HTC are really wonderful. They are vying for the top spot. The kind of specifications of the phone look just great at this price point. I agree HTC is on a roll, with the surge of new smartphones coming out of its stables. But, then that is expected, since there is so much competition for the top spot. The Taiwanese manufacturer has adopted the best technique to stay in the limelight. It has definitely grabbed the attention of consumers with its constant presence, and is going to remain among the top-notch smartphone manufacturers in people's minds. Hello I am a geek. I have used MT6592 and Snapdragon Based phones since last 2 years. I think Sony Xperia E3 would be a greater deal as it has Snapdragon 400 quad-core processor that is definitely better than the MT6592 processor in terms of capabilities and multitasking. And the internal memory is also no more issue because we can move apps to SD card also.